Here we are outside the door to one of my favorite places in Casper, WY and one of my favorite places in the world (I’ve been to 12 countries, so that’s sayin’ something!). Creative anticipation runs wild as I put my hands on the bars (see the one wrapped in brightly colored silk?) and push the door open. The lovely smell that brands this shop immediately fills my senses. I’m not being poetic when I say I lose all sense of time inside. It’s easy to spend a few hours here and think only minutes have passed. 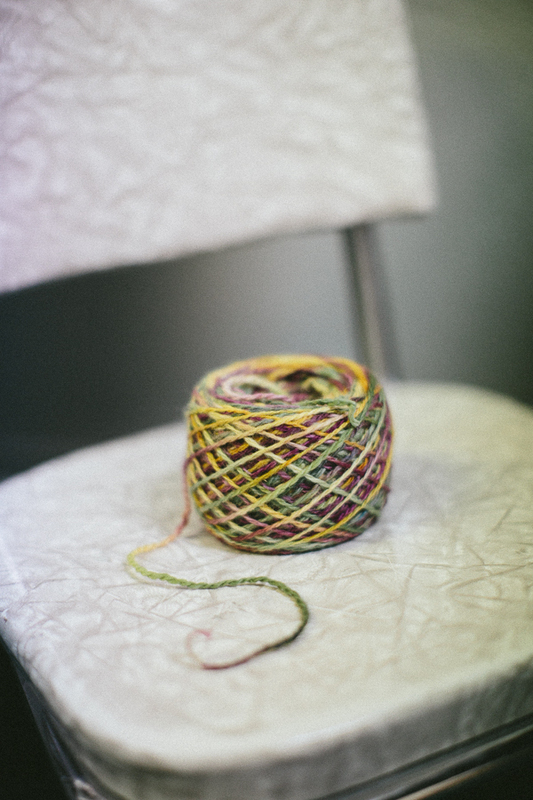 Yarn surrounds me. Yarn made of all colors, fibers, blends, and weights. The creative possibilities are endless and my mind races making connections between yarn and possible projects. 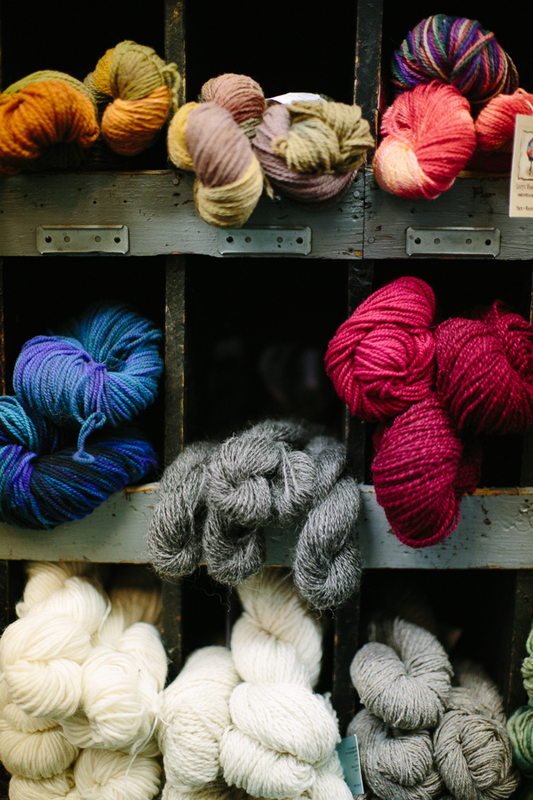 Charlotte, the shop’s owner, carefully selects each brand of yarn before the skeins rests in a perfect display. I can tell each one is honored to be in her shop. 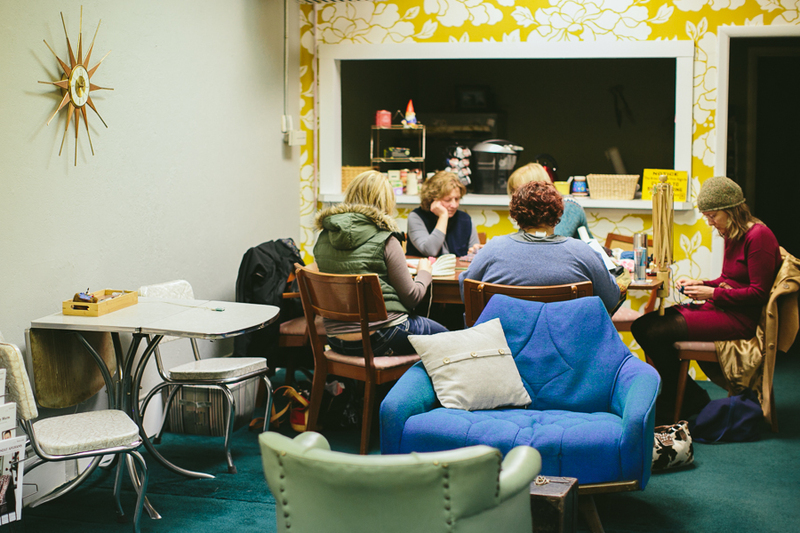 The back of the shop quietly buzzes with learning, creativity, and inspiration as a class learns how to knit. 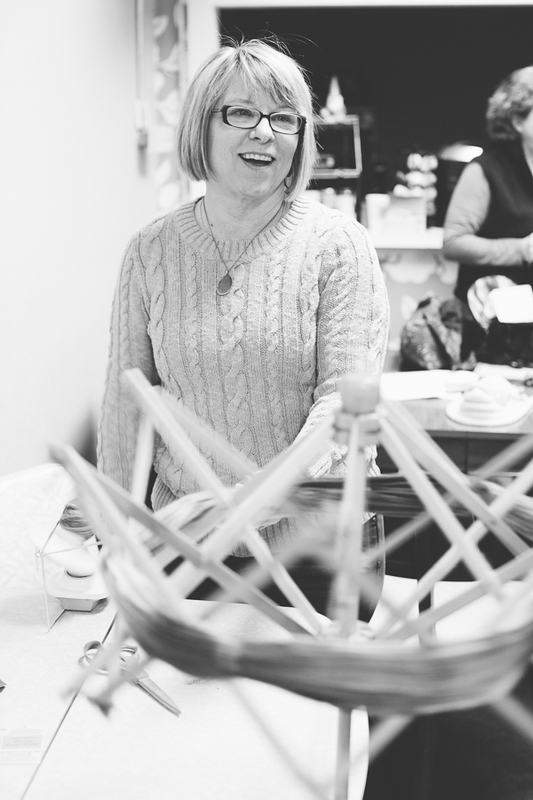 Classes here are perfect for learning a skill, chatting with old friends, and meeting new people because Charlotte has created a beautiful welcoming space for us to make connections. 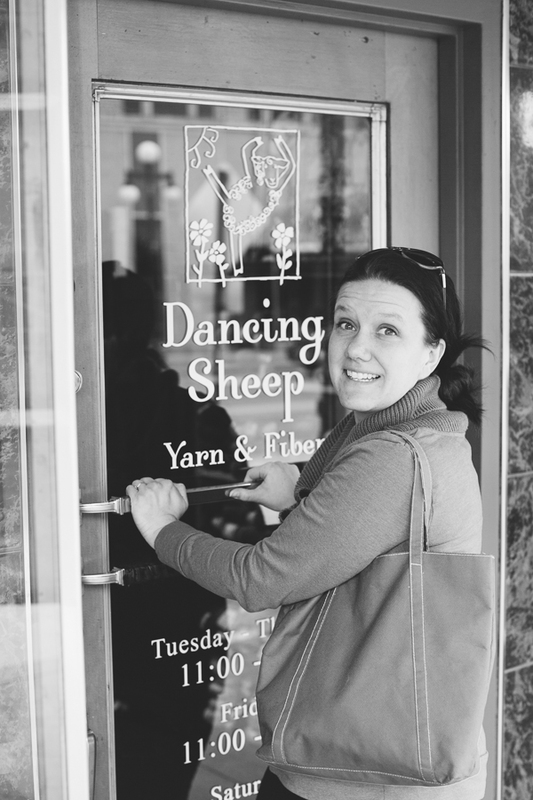 Monika and I came to the Dancing Sheep Yarn & Fiber on a beautiful February morning looking for local yarn to use in a few Firefly Hook projects. We found more than perfect yarn; we connected with a special place and a wonderful person. Charlotte’s shop is full of a sense of possibility. I knew that one of our first patterns had to introduce other crocheters to a very special yarn. And I knew just where to find it. Let me show you the best spot in the Dancing Sheep. 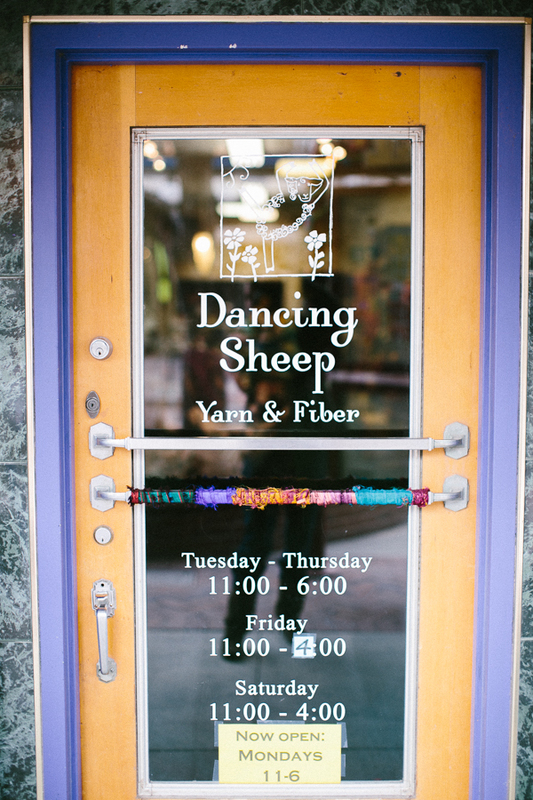 This section of the shop showcases local Wyoming yarn. It is full of heart and epitomizes Charlotte’s love for local. One of the reasons local yarn is such a gem is the extra care given to it in each step of the process. 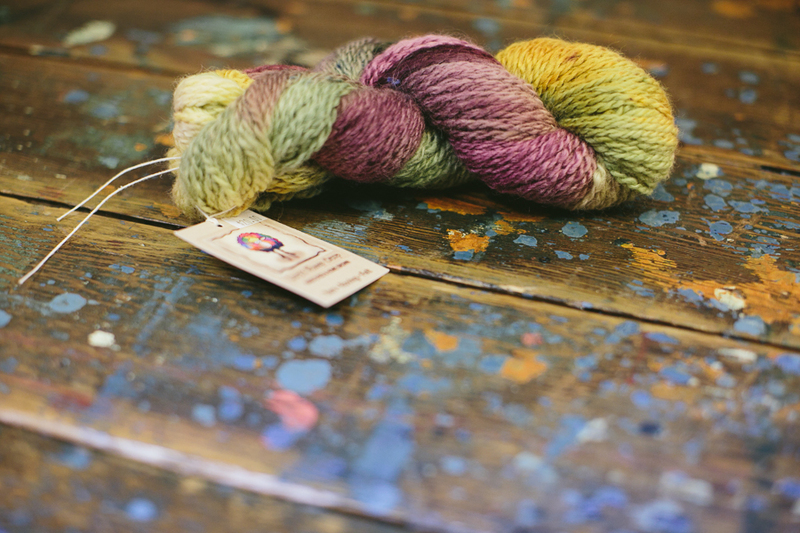 From sheep shearing to skein of yarn, this yarn has been given individual attention. Its soft texture and gorgeous sheen attest to its careful handling. 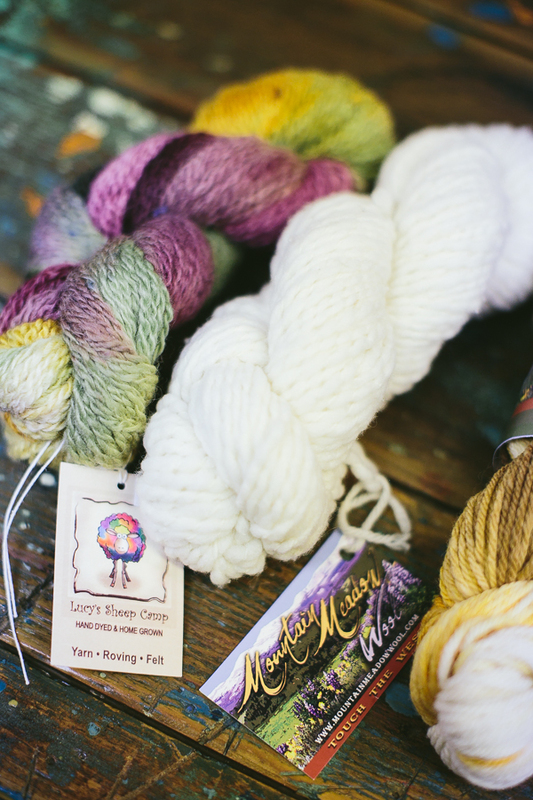 I’m especially drawn to the yarn from Lucy’s Sheep Camp in Thermopolis, WY. Perhaps because I learned to spin from their roving, or the memories I have of their beautiful town, or the way they treat their sheep like pets- I’m not sure what it is exactly… But this yarn is special. The only problem is choosing which skein of yarn to crochet into a cinch hat then write into a pattern. Can you tell how lovely they are? The swift is a nifty device that transforms a hank of yarn into a pull-ball. It makes crocheting less irritating because your yarn won’t become tangled as you work. The hank is cinched around the swift and a lead of yarn is connected to the ball winder. 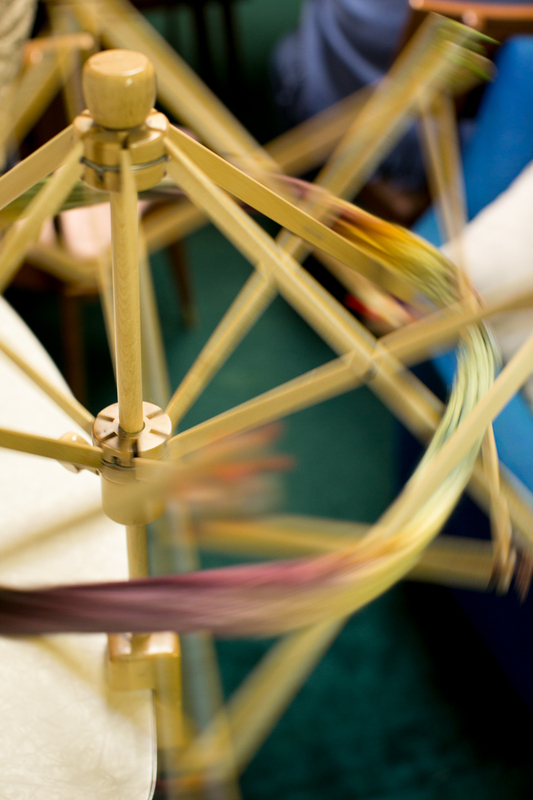 As Charlotte cranks the ball winder, the swift spins and feeds the hank of yarn into the ball of yarn. It’s mesmerizing when the swift whirrs and whirls around. The ball winder and swift work together to transform a hank into a pull-ball. Now the yarn is waiting. Waiting for me to take it home and transform it into something special that will inspire others to create. 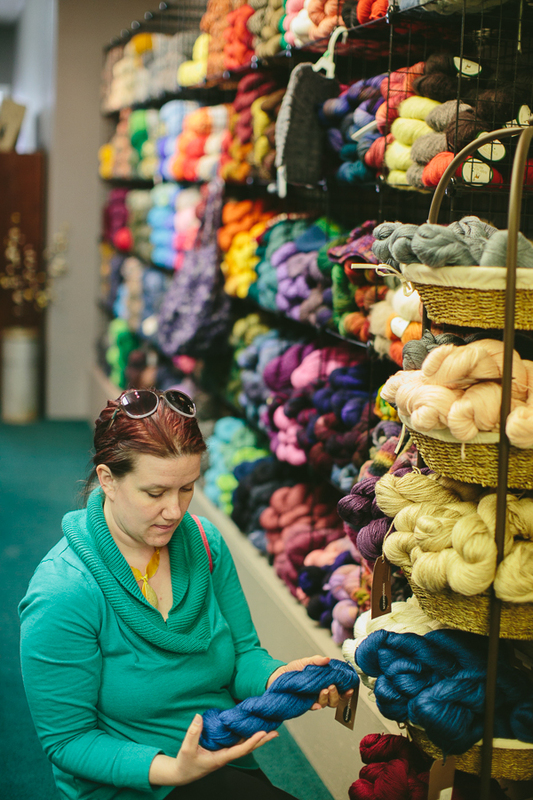 There are many ways to purchase yarn. 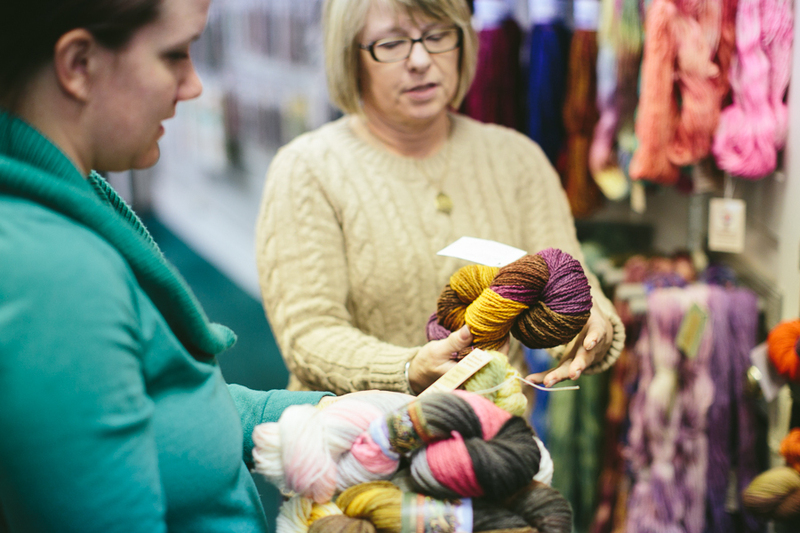 But nowhere is more special than your local yarn shop. It may require a little extra time or investment, but you won’t regret the result. 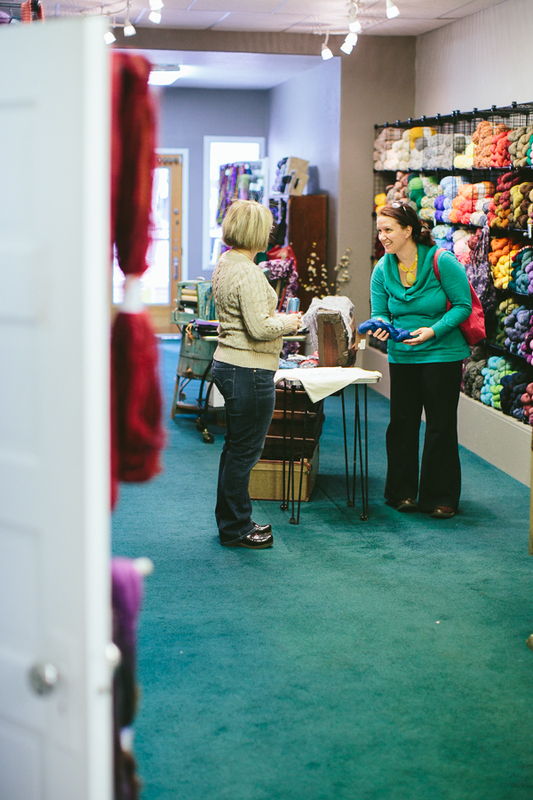 Your project will stand out from the crowd when you purchase yarn locally. Be well, readers. Crochet often. And create always! 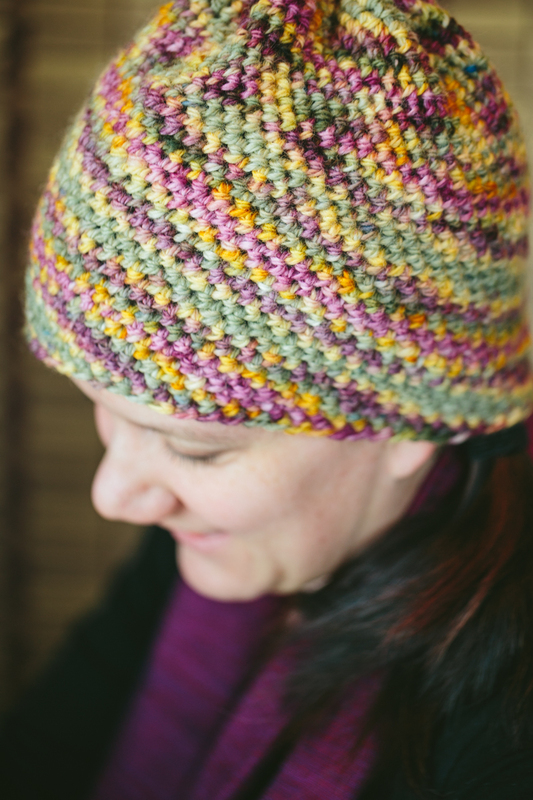 The skein transformed: Lucy’s Sheep Camp cinch hat. I’m traveling through the area and happened on your blog post..thanks! I’ll be going through Casper today!